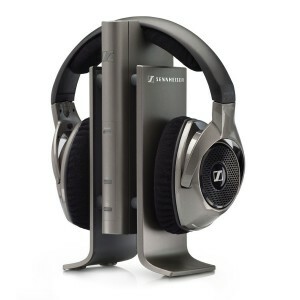 Sennheiser is a well established brand and is known for making some of the best-sounding wireless headphones for TV. Sennheiser RS 180’s headphones for TV are here to prove that. Price has recently been heavily reduced all a cross the Web and you can get those for about two hundred dollars. If a couple of hundreds sounds to much, let me tell you, they used to cost close to four houndred. RS 180 wireless headphones for TV will cost you a bit more than a usual averige consumer’s choice headphone set, but the quality of the sound you’ll be getting is well worth it. They are very comfortable to wear as well which is very important if you are going to use them for movie marathons. Sennheiser RS 180 wireless headphones for TV come with an Automatic Sound Compression feature. This will maximize speech detail and TV dialogue clarity. RS 180’s will protect your sensitive eardrums from those annoying loud commercials with Automatic Level Control by compensating for variances in the volume. All you have to do is set up your desired volume level and the ALC will take care of the rest. Experts say that the RS 180 headphones have almost the same sound reproduction as wired headphones like the Sennheiser HD 580. Sennheiser RS 180 wireless headphones for TV are powered by a single NiMH (nickel-metal hydride) AAA rechargeable battery in each earcup. This will give you up to 24 hours of listening time if your batteries are fully charged. 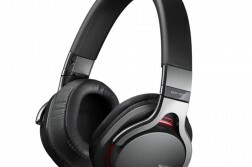 Sound quality is beyond best and you can enjoy your music loud, but be aware that RS 180’s are open-ended headphones and people that are near you might hear what you are listening to. 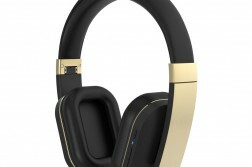 If you like to listen music or watch TV more privately than this headphones might not be the right choice for you. Sennheiser RS 180 headphones are mostly made of a plastic that feels a bit cheap and fragile, but the upside of that is that they are very lightweight. The RS 180 wireless tv headphones comes packed with KLEER’s lossless digital wireless audio transmission technology which enables them to deliver sound in an extra wide range of 320 feet without losing sound quality. Another nice feature is automatic, interference-free pairing so you can forget about hard times with tuning wireless headphones and transmitter. They pair flawlessly. In addition to hassle-free automatic pairing, KLEER technology also enables multiple connections; up to 4 connections per station with compatible Sennheiser KLEER headphones, so you can share your experience with friends or family. Personally, I am not a fan of futuristic design with sharp lines that this headphones features, but if you are, you are going to love Sennheiser RS 180’s design. Earcups are big and soft, very comfortable and you will cherish that especially if you are a “movie marathon” person. Some users complain about control buttons size; They are a bit smaller and you can easily press the wrong one, especially when you use headphones for the first time. However, that is nothing to be worried about, after few hours of use you will get used to them and be able to control your headphones with ease. The entire package includes a wireless headphone (HDR 180) and a multi-purpose transmitter (TX 180) which also functions as an ‘easy-charge’ cradle and docking station. 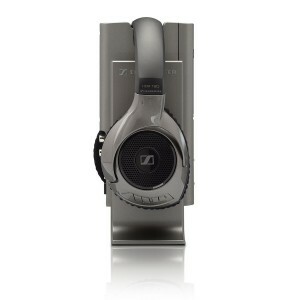 Sennheiser is a well established brand and is known for making some of the best-sounding wireless headphones for TV. Sennheiser RS 180's headphones for TV are here to prove that. These Sennheiser RS 180s sound like excellent headphones. The ALC, in particular, seems like a feature that I would love to have. We have a number of young children here, however, so the fact that the plastic appears to be “cheap and fragile” worries me a bit. Will they break easily if played with or mishandled a bit (or happen to get tossed onto a wooden table)? How fragile are they? Thanks for the great review and an amazing website. Allyn, thank you for taking the time to read the review and leave a positive feedback about my website. Usually headphones are mostly made of plastic in order to be as lightweight as possible and that’s good. 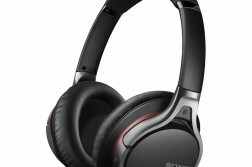 However, some headphones feature metal parts in the most critical areas as well – for example, where the headphone is attached to a headband slider (or to a headband directly if the slider feature is implemented). I find that to be a huge advantage as those metal parts do not add as much weight while the headphones feel more robust. After all, we are talking about just some parts – like a headphone carrier, metal slider etc. RS 180s are not very cheap (obviously) and it might not be a good idea to let children play with it, especially if they are too young or not instructed about the proper use :) They will not break just for getting tossed onto a wooden table – that’s for sure. But if you would step on it, or sit on it, headphone could get separated (since the headphone carrier is made of plastic and could break) from the headband slider. I would suggest that you check out cheaper options as well if you are not going to use your headphones for a professional use and if you are going to allow your children to use the headphones. If you are not super sensitive to sound quality (audiophile level) you might find a great value in bluetooth headphones that are in $50 – $100 price range, such as Photive BTH3 Bluetooth 4.0 headphones. They are much more convenient – You can connect them to multiple devices easier and faster (they don’t use external transmitter like RS180s) and you can use them outdoors as well (while running, working in the garden or similar).